CUTTING SPACE - sophiefoes Webseite! 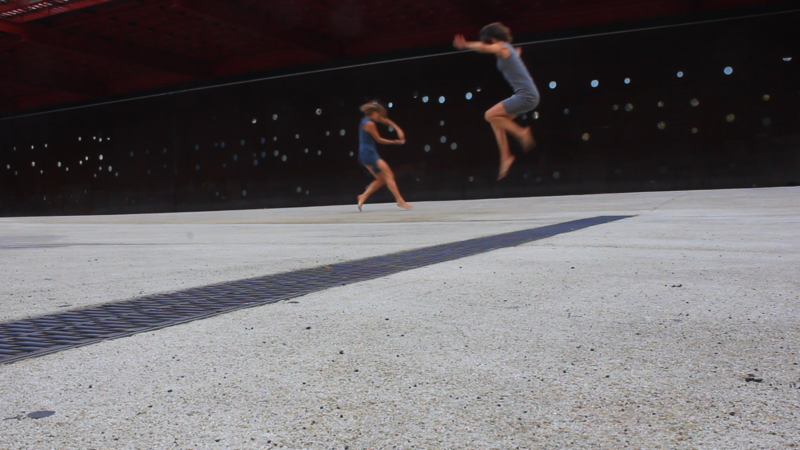 The roadtrip dance video „Cutting Space“ is dedicated to the motion sequences which are part of our daily life. Street cars, buses, crossing pedestrians, cars. Stop. Start. Red light. Green light.Go. The crowd starts moving just like in the beat of a metronome and is pushed through the cities on fixed trails. Haven’t these masses got a choreographic element structured by space and time? 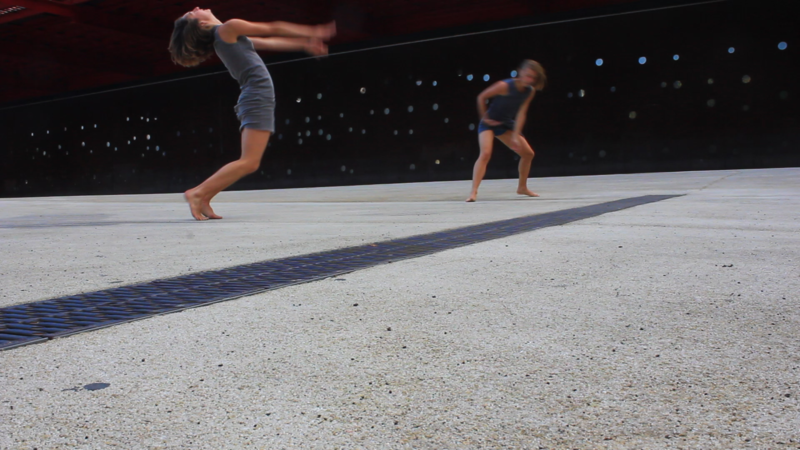 Two dancers gradually emerge from the crowd’s everlasting need to move on. Their choreography begins fighting against the one of the crowd and becomes gradually independent in the end. Circling constantly backward and forward, short fading moments instead of the continuous repetition of urban motion sequences.